A Shift in Ideology for the GOP? This Washington Post article is a fascinating story because it shows the current climate of the country regarding income inequality. As the topic becomes more important, opinions seem to be reforming in the Republican Party. “Republicans are striking an increasingly populist tone these days,” writes Amber Phillips. Some contenders are no longer attempting to ignore or debunk income inequality like Conservative talk show host Bill O’Reilly has on his popular television show. 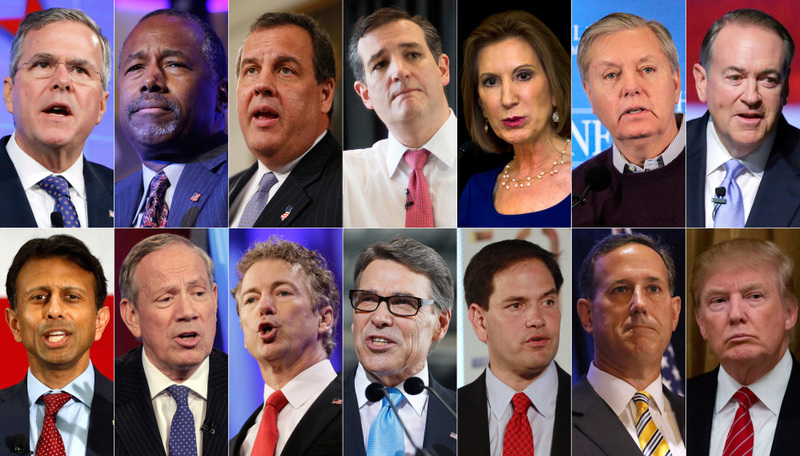 Instead, top GOP contenders including Donald Trump, Rand Paul, Jeb Bush and others are discussing big changes. This includes going after “big banks” and even implementing a higher tax on the wealthy. Everyone knows talk is cheap, but it is promising to see candidates stray away from typical GOP ideologies and realize the income/wealth gap is a major problem in today’s society. Whether these candidates sincerely mean it or are just simply appealing to the masses to earn votes remains to be seen. One can only hope it is the former and not the latter.